TARGETED ACCENT LIGHTING: This look is for those who want to add interest with lighting without breaking the bank. Choose certain areas of your venue to highlight, such as your head table (6 uplights $350), or cake table (2 uplights $175). 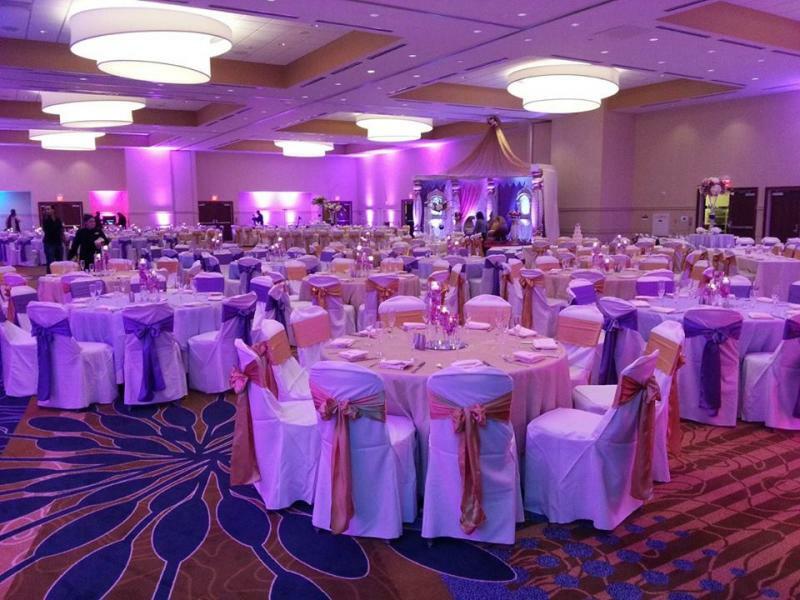 MODERATE COVERAGE: This is the option for people who want to set the mood and create an elegant ambiance with uplighting. Adds a nice overall effect to your venue with moderate coverage. 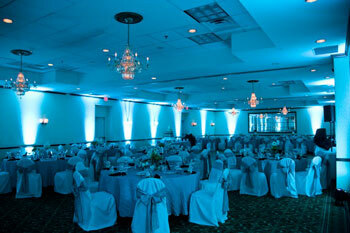 Space lights 10' to 15' apart around perimeter (10 uplights $450).